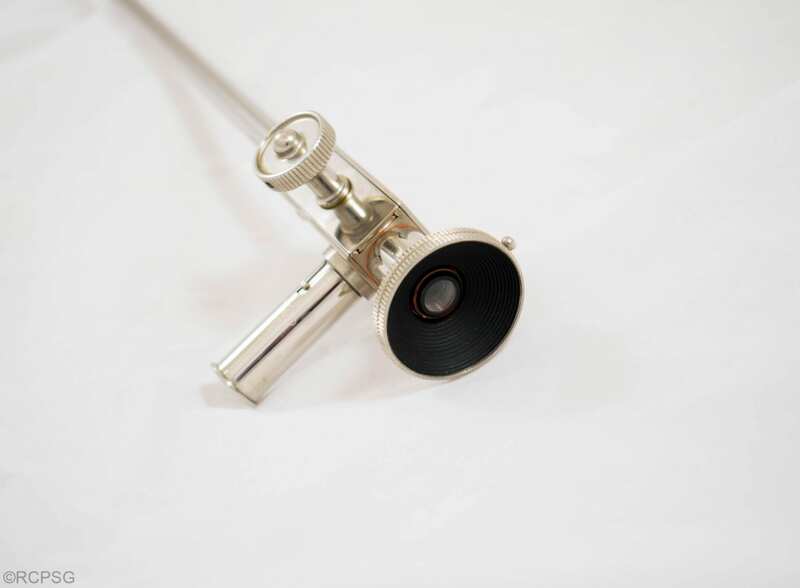 In her latest blog post, Digitisation Project Intern Kirsty Earley looks at the technology behind a mid 20th century gastroscope. 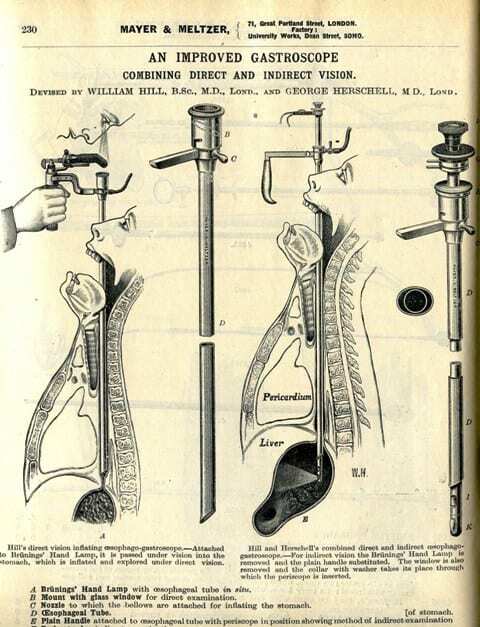 The development of gastroscopy and endoscopy evolved during the 19th century. Philipp Bozzini in the early 1800s is regarded as the first to attempt to see inside the body using a light source – at this stage candlelight and mirrors. The use of electric light in the later 19th century advanced the procedure. In 1868 Adolph Kussmaul tested a rigid gastroscope on a sword-swallower to establish the line from mouth to stomach. Prior to any form of recording technology, visualization of the gastrointestinal tract could only be achieved via rigid gastroscopes. These were essentially long telescopes through which the physician could view inside of the patient’s stomach (see illustration above and below). Due to the limitations on flexibility, the patient had to be positioned in order that the gastroscope could simply slide down the oesophagus towards the stomach. It would then be rotated to visualize all areas of the stomach. Not the easiest of procedures. For gastroscopy to advance, something had to be done to the gastroscope itself. Rudolf Schindler (1888-1968) was a German doctor who specialised in gastroenterology. Considered the “father of gastroscopy”, Schindler made incredible efforts to promote the use of gastroscopy as a diagnostic technique for gastrointestinal conditions . Schindler was the brains behind the first ever semi-flexible gastroscope, created in 1931 . 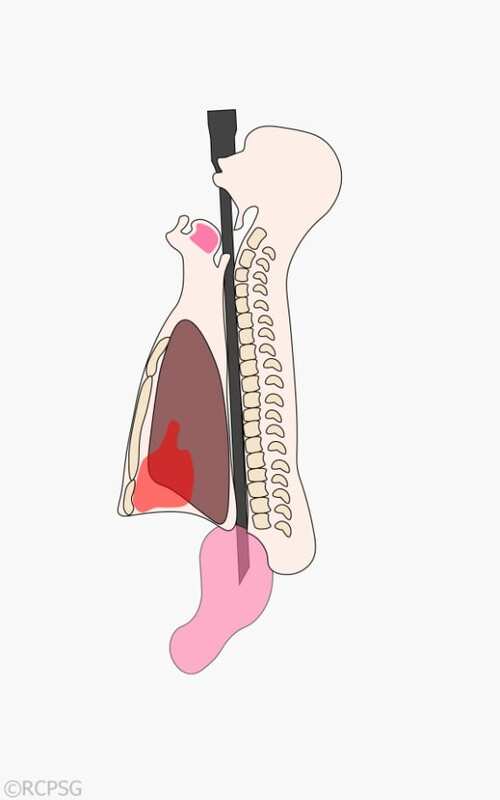 He constructed the gastroscope in such a manner that the distal end could be rotated, while the proximal end remained stationary (see image below). This allowed easier access to all areas of the stomach. But how did he test his design? Often, his instruments were tested on his own children, especially his daughter Ursula as she had a strong gag reflex . To ensure that procedures were being carried out safely, Schindler trained practitioners in how to use his gastroscope as a diagnostic tool. 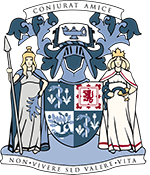 He argued for many years that gastroscopy should not become a specialised field of medicine, but an examination technique performed by any level of practitioner. Ultimately, the gastroscope was replaced by fiberoptic endoscopes . Instead of a flexible distal end, the entire length of the fibreoptic endoscope was flexible. This allowed the patient to be in a more natural position, e.g. sitting up, during the examination, . Gerstner, P., 1991. The American Society for Gastrointestinal Endoscopy: a history. Gastrointestinal Endoscopy, 37(2). Olympus, date unknown. Olympus History: VOL 1 The Origin of Endoscopes. [online] Available at: http://www.olympus-global.com/en/corc/history/story/endo/origin/. Schindler Gibson, U., 1988. Rudolf Schindler, MD: living with a Renaissance man. Gastrointestinal Endoscopy, 34(5). DiMarino, A.J., and Benjamin, S.B., 2002. Gastrointestinal Disease: An Endoscopic Approach. Slack Incorporated: New Jersey. Hirschowitz, B., 1961. Endoscopic Examination of the Stomach and Duodenal Cap with the Fiberscope. The Lancet, 277(7186).